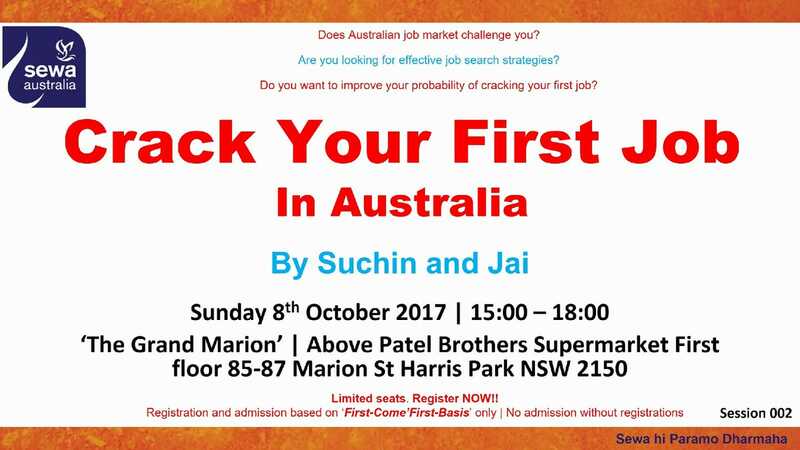 Sewa Australia is organising a workshop for new migrants looking for job..pls register quickly..first come first serve..few spots left..
Sewa is organising a workshop for new migrants looking for job..pls register quickly..first come first serve..few spots left.. This is a FREE session! !